I’m excited to introduce my all time favorite Turkey Spaghetti recipe. I personally love this more than the traditional ground beef, as Turkey is a healthier alternative filled with rich protein and amino acid. So let’s get started, shall we? Boil water in a large pot. To make sure pasta doesn’t stick together, use at least 4 quarts of water for every pound of noodles. Once the red wine has evaporated, add tomato paste, and saute for a few seconds until the garlic, onions, mushrooms, and roasted tomatoes are fully coated with the paste. 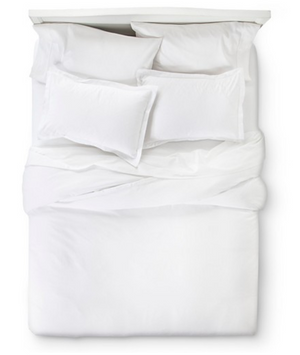 A great bed starts with the foundation, that is, the sheets, duvet cover, and pillow cases. There are a variety of sets you can get at a different price point, ranging from $40 – $300. I have slept in sheets that were cheap as $25 to sheets that ran up to $200 and there is a huge difference in terms of what you pay for. I’m talking about the quality, how it feels, and longevity. The key to finding good sheets is looking at thread count. I recommend picking a thread count between 200 – 500. 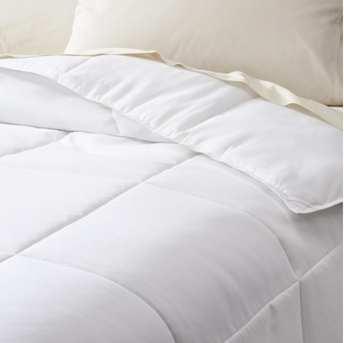 The higher the thread count, the softer the sheet, and the more likely it will wear well-or even soften-over time. 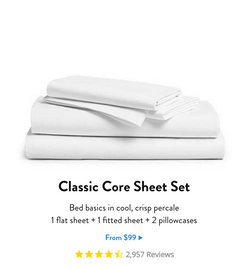 I understand Brooklinen sheets are not the cheapest. 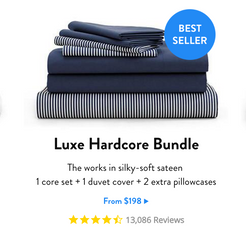 Trust me, it was a little painful buying a $200 sheet set, but it’s so worth it once you sleep in it. It feels amazing! 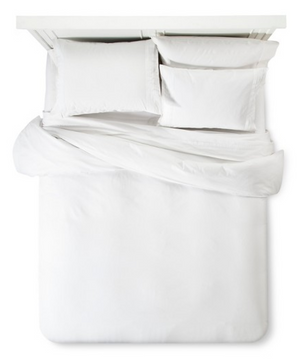 The great thing about Brooklinen fabrics is that it softens over time as you wash it. So if you can afford it, why not splurge on yourself? 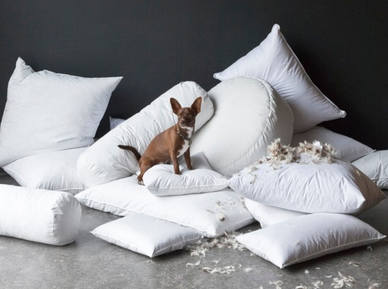 A duvet is only as good as it’s filling, so depending if you want to go for natural or synthetic – really depends on your preference and budget. I would recommend going for natural fibers such as goose feather down, wool, or cotton. As these materials tend to be soft, light, and breathable. The breathability of a duvet insert is very important, as it’s capable of keeping you warm or cool while retaining body moisture. Also, natural materials can hold up over time in comparison to its synthetics counterpart. To get the plush duvet look, I recommend getting the goose feather down, but it might not be suitable for everyone, as the feathers tend to poke out sometimes. 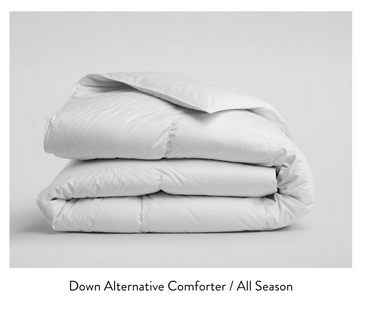 To be safe and to achieve the same plush look, I would buy two cotton down comforter inserts and layer it into the duvet cover. 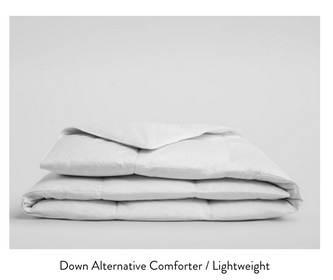 From personal experiences, the longevity, quality, and how insulated the duvet insert is reflected on the price point. Natural materials tend to be more expensive than their synthetic insert. 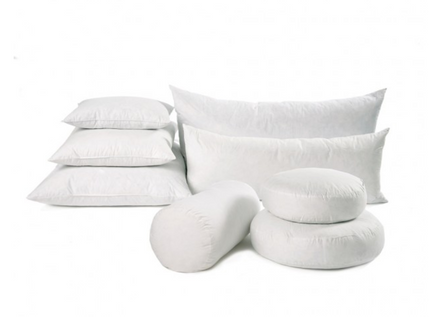 They are a variety of different pillow inserts, but the most popular ones are either feather or polyfill/Cotton Inserts. Feather insert feels more luxurious as it conforms to your shape. The only set back is that it requires a little bit more maintenance since it loses its shape quickly once weight is put on. But this can be easily fixed with just fluffing it out and the good oh “karate” chop and it will come back to its original shape. Polyfill and cotton inserts offer more back support and it’s considered a more economical choice. I would say it retains its shaped fairly well, but over time it will flatten out and lose it’s “plush” look. Once you got the basics down the fun part begins! And that’s designing how you want your bed to look like. The thought of having white bedding can seem intimidating, especially if you have kids or pets, but with a little upkeep and an eye for design, you can have the bed of your dreams, while sleeping like a baby. How you see your environment, can aid how your body reacts and feels. For example, looking at a clean white bed can make you feel relaxed, calm, and clean. Here is “How to decorate and make your bed” blog. All of these senses work together in aiding good night’s sleep. So let’s start on this journey of rethinking how we sleep while looking and feeling great while doing it!